Younger Brothers’ Companies would like to sincerely thank everyone involved in our recent Cans for Construction food drive! 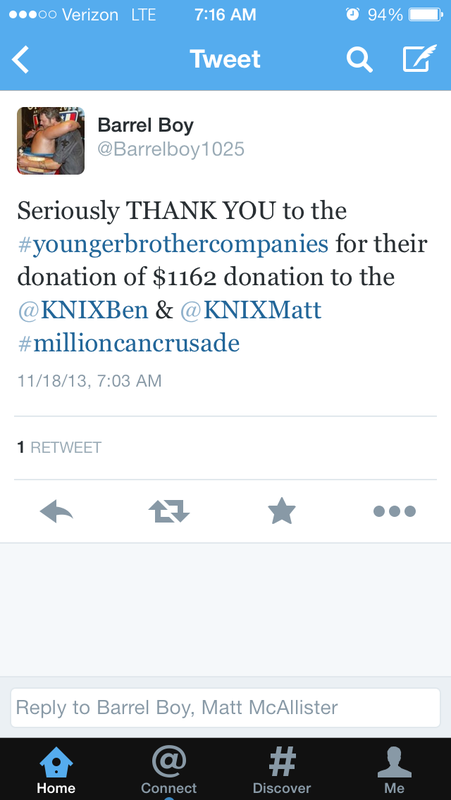 The Younger Brothers Cans for Construction initiative was a companywide effort to contribute to Arizona’s Food Banks. We started Cans for Construction in August with two teams of 35 Younger Brothers employees and the goal was to build competing “structures” with the donations collected. This first-time event was a huge success! We raised over 5,000lbs of food and $1,200 cash for Arizona families in need. We were so happy to donate the food to St. Mary’s Food Bank and will be donating the cash collected to the Million Can Crusade, which is sponsored by local radio channel 102.5 KNIX, hosted by their own Ben and Matt and will benefit the St. Vincent DePaul food bank. Younger Brothers will be delivering their donation on Monday, November 18th at the Desert Schools Credit Union at 3131 E. Thunderbird Rd. in Phoenix. Inspiration for the event came from Canstruction, another food charity which hosts competitions showcasing enormous structures made entirely out of canned food. All food is donated to local hunger relief organizations at the end of the event. Younger Brothers is proud to say that our first Cans for Construction food drive was a huge achievement made possible by our remarkable team and our wonderful and generous supporters! We look forward to our next big charity event! The Million Can Crusade continues until the end of November. Personal donations can be made at any Safeway location in the Valley. Host your own food drive to contribute to the Million Can Crusade or make a cash donation online.